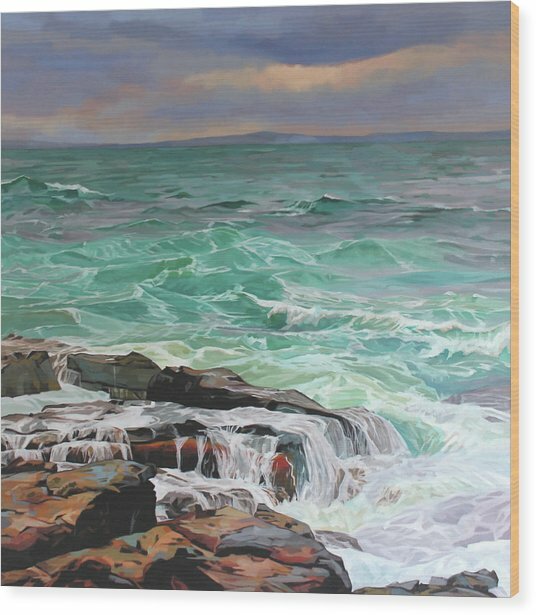 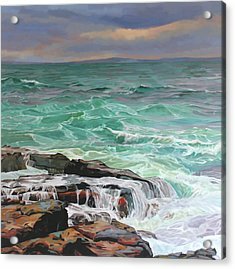 Creevy Storm 3, Waves Spill Over The Rocks is a painting by Kevin Lowery which was uploaded on July 25th, 2016. 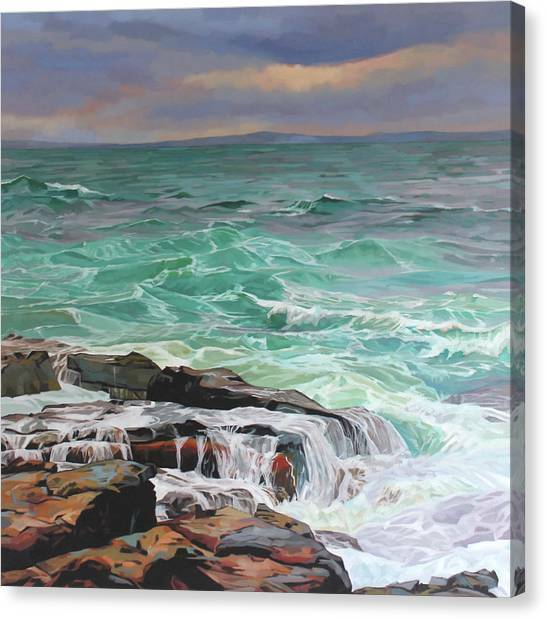 One of a series of seascapes painted during a winter storm at Creevy near Ballyshannon in Co. Donegal. 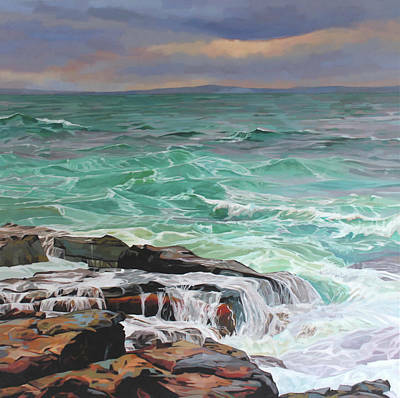 One of the attractions of waves is the constant rhythmic motion, while the atmosphere and light can be totally different from one moment to the next. Here I try to capture a sense of this constant action as well as emphasizing structure and colour. 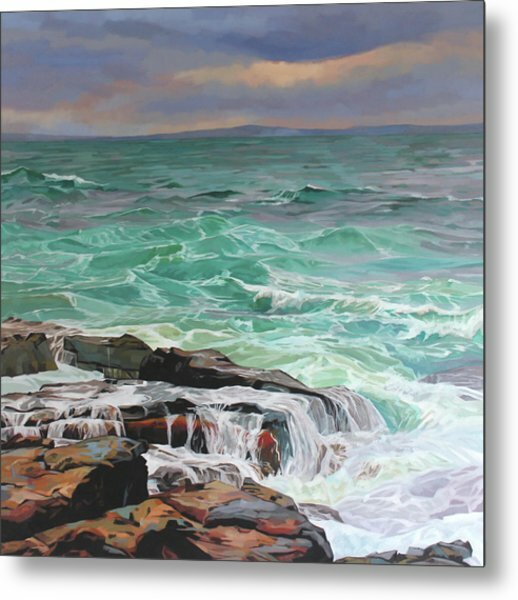 Painting storm scenes can be a stimulating and formidable challenge with wind swell adding infinitely to the complexity of structure. 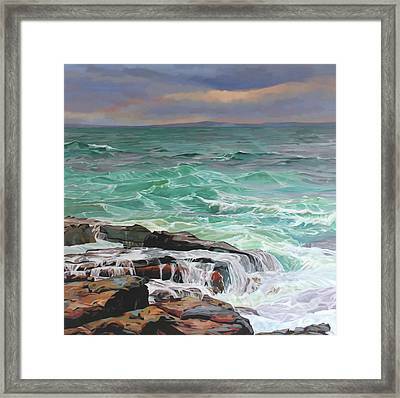 Love the composition of colour and movement here Kevin, really captured Creevys wild side.